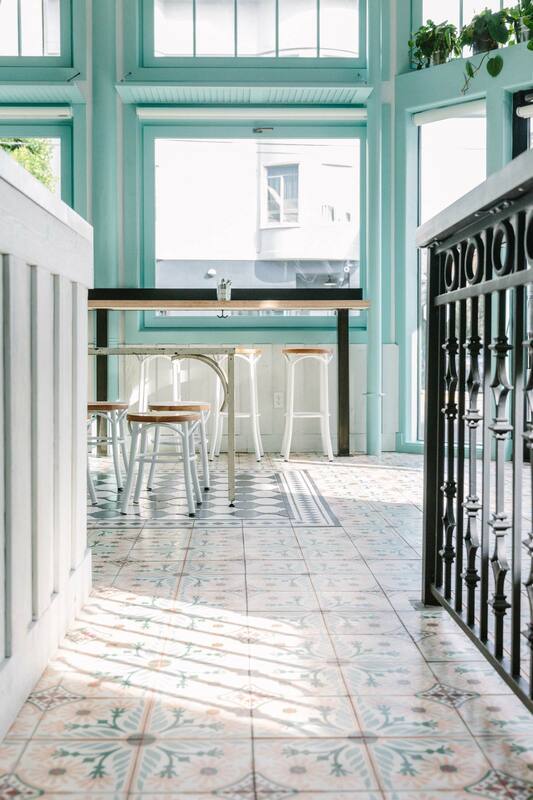 Media Noche is a bright, energetic, tropical sanctuary in the heart of the Mission District of San Francisco. 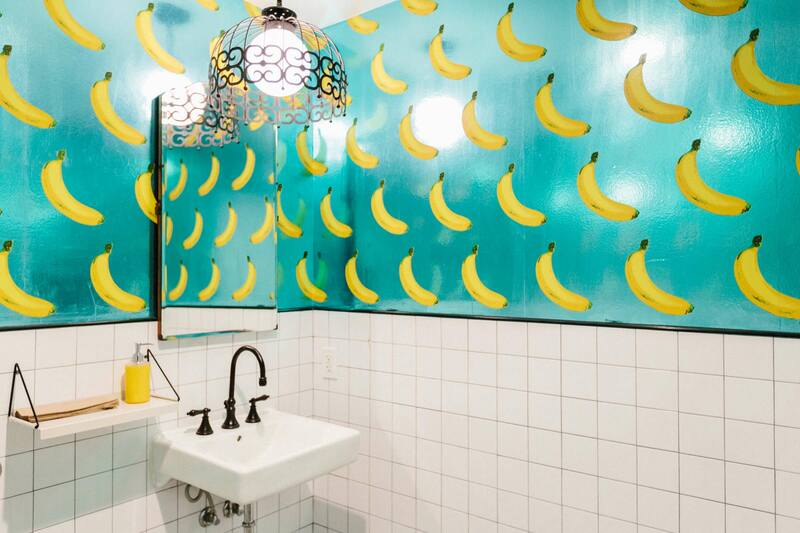 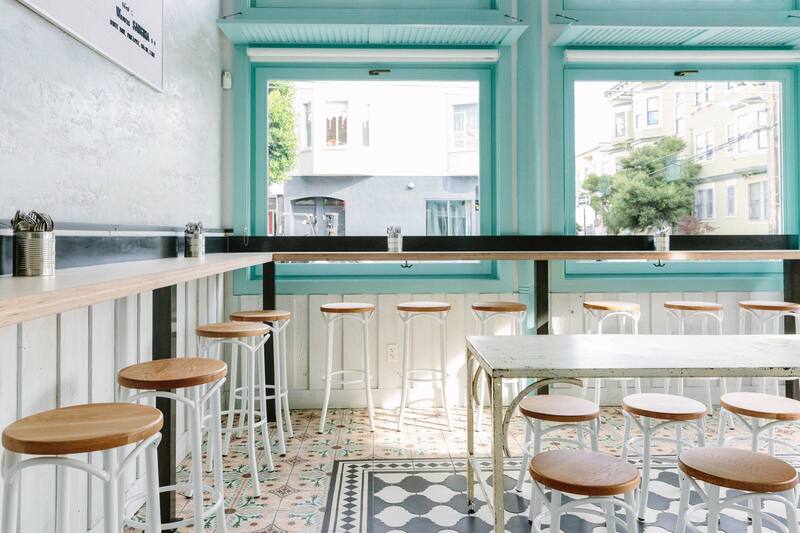 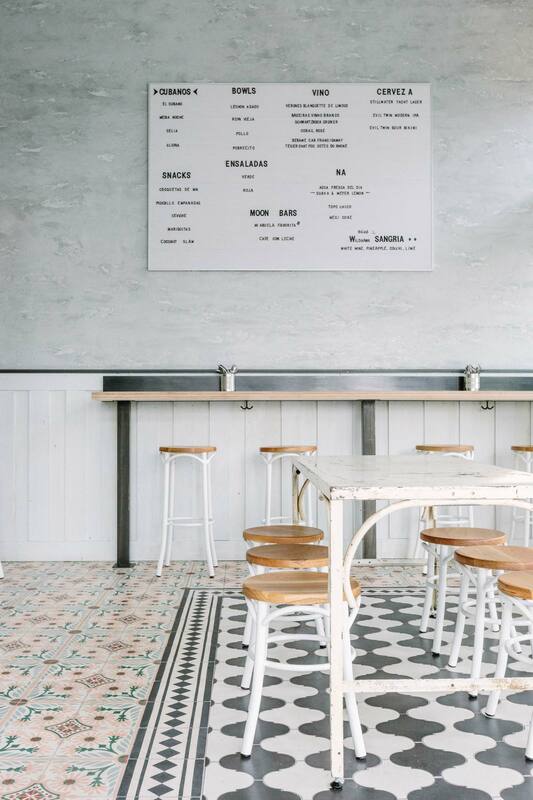 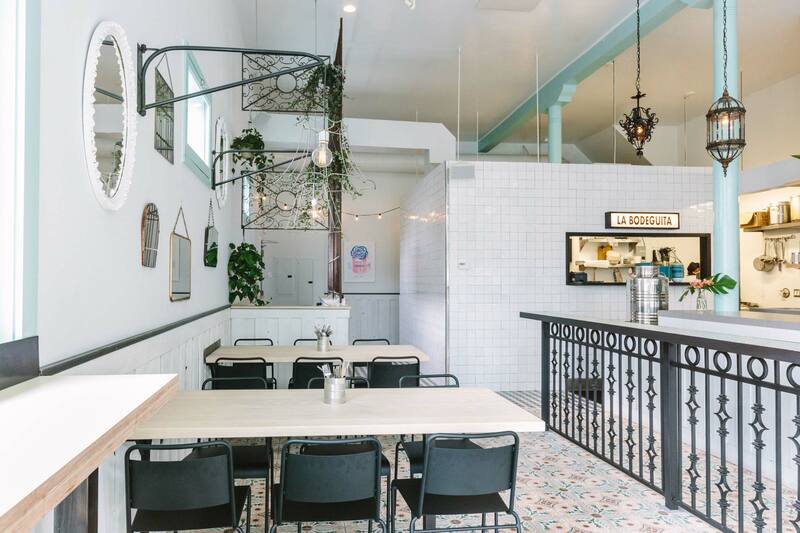 The fast casual Cuban counter has a fun, transformative vibe, incorporating hot pink flamingos, Cuban-inspired custom tile, and bright white walls. 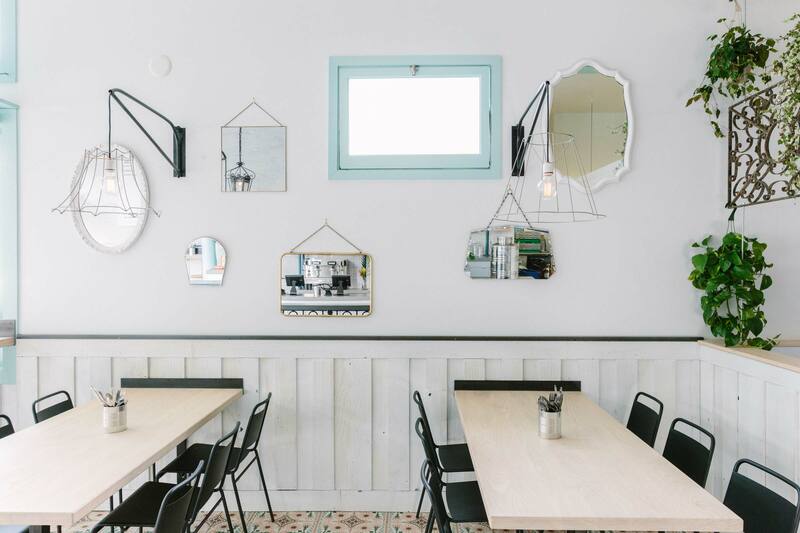 The integration of curated vintage pieces including pendant lights, hanging gates and a metal communal table bring character and depth to the design. 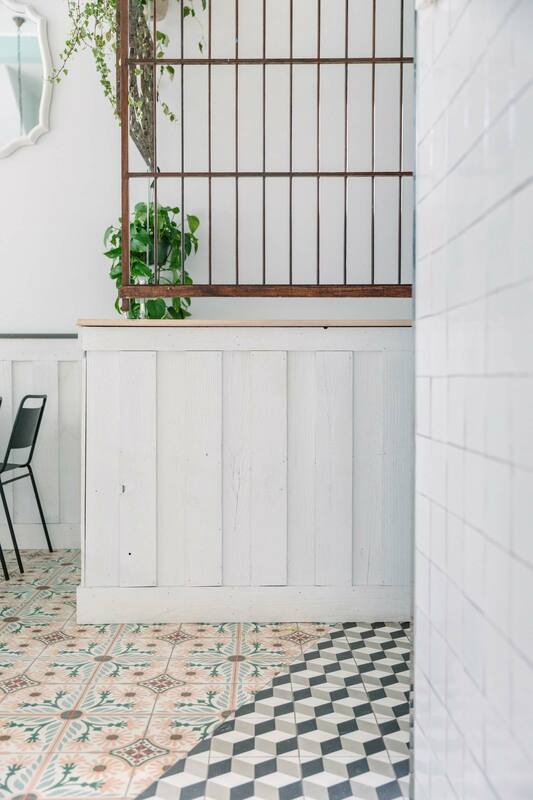 Black metal accents and the black and white graphic tile border the space to allow the custom pink tile to shine! 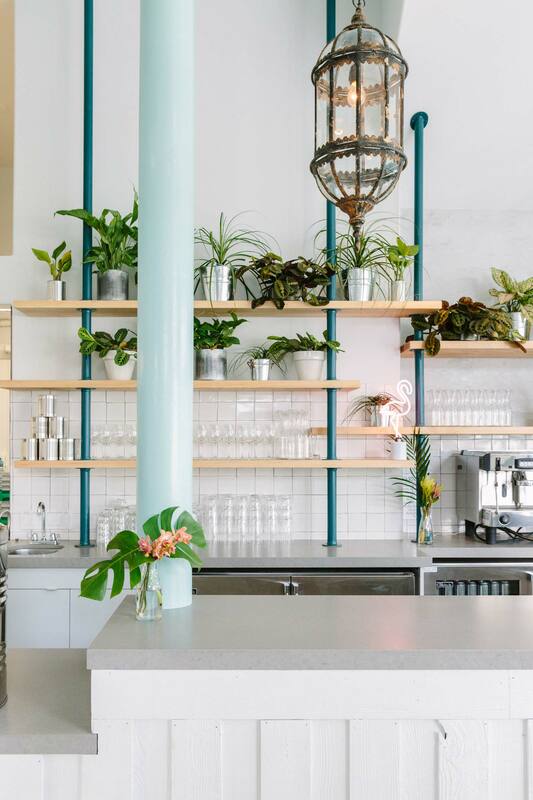 The bright turquoise colors are a beautiful backdrop for the plethora of plants styled throughout.